The Ford Five Hundred, which features the Ford CVT transmission. The Ford CVT transmission is the CFT 30. Built by ZF-Batavia, it was standard equipment in the Ford Freestyle, the Ford Five Hundred, and the Mercury Montego from a few years ago. With many of these vehicles starting to rack up the miles, it won’t be long before you start seeing them showing up in your shop. So here’s a look at the CFT 30’s design, its most common problems, and some handy repair tips. Spark plugs, which can cause EMI problems for modern transmissions. Transmission troubleshooting has changed top-to-bottom over the last 20 years or so. In some ways it has gotten easier, thanks to modern scan tools and trouble codes that give a good idea of the underlying problem. In other ways, however, the same technology intended to make life easier has actually created issues of its own. Take for example the strange case of the malfunctioning Jaguar. Chrysler CVT transmission. Image courtesy of edmunds.com. The current Chrysler CVT is the Jatco JF011E. It has been used since the release of the 2006 Jeep Patriot. 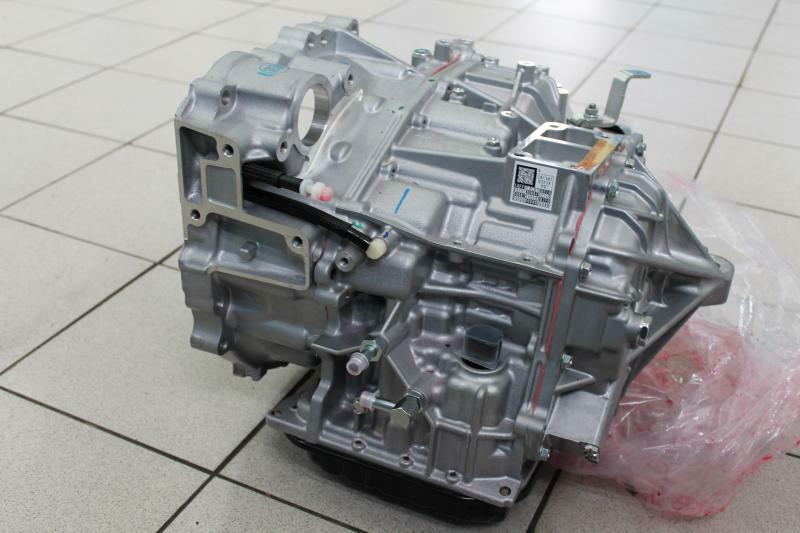 While the gearbox was less than popular when first rolled out, steady improvements plus greater acceptance of CVTs in general have since made this particular gearbox a favored option among many buyers. Of course, even the best transmissions eventually develop problems. So here’s a look inside the Chrysler CVT that will help you to service these units when you see them in your shop. Keeping informed about new developments is essential to success in almost any field, but sometimes we techs get so busy staying up-to-date that we forget the basics we learned in our early training days. That’s too bad, because refreshing ourselves on those essentials can help us find solutions to repair problems that might otherwise escape us. 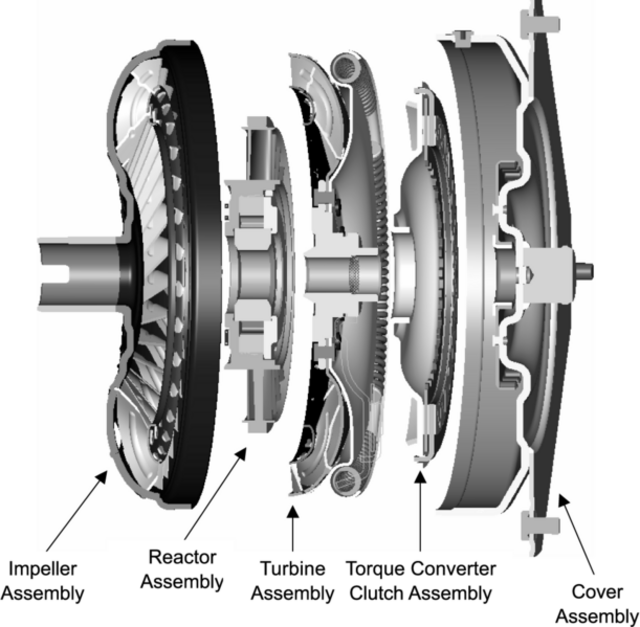 With that in mind, let’s review one of the fundamental principles of automatic transmissions: how a torque converter works. 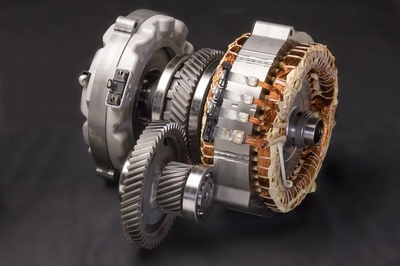 Two of the most common issues you’re likely to see when performing troubleshooting an automatic transmission are valve body and servo bore wear. So today we’ll cover the steps for diagnosing these problems using an ordinary vacuum tester. A vacuum test stand. You’ll find these at any transmission parts warehouse. A CFM three-way vacuum pump. There are many brands out there, so shop around and choose the best one for your needs. Once you have your equipment, you’re ready to calibrate the test stand. Transaxle from a 2010 Prius. Love it or hate it, the Prius hybrid has been on the American market for well over a decade now, and with gas prices staying well over $3.00 a gallon, these ultra-efficient vehicles probably aren’t going away anytime soon. This means that you’ll be seeing them in your shop more often as they age. 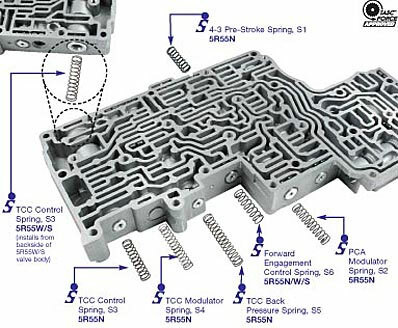 With that in mind, here’s a look at one of the distinctive features of the Prius transaxle: its inverter cooling loop. The U660E appeared in several Toyota models from 2006 through 2012. While its internal architecture is complex, troubleshooting the U660E is simple if the technician goes about the job in a systematic, circuit-by-circuit fashion. The following is a basic introduction to the transmission. A listing of common auto trouble codes. When it comes to transmission troubleshooting, today’s techs are blessed with an abundance of capabilities earlier generations could only dream of. Take trouble codes as an example. The ability to simply ask a vehicle what’s troubling it sounds almost magic. Compared to yesteryear’s diagnostic methods, it offers today’s technicians unprecedented ability to resolve issues quickly, getting their customers back on the road with a minimum of downtime. This is especially the case since the introduction of OBD II codes in 1996. A technician reprogramming a vehicle. PCM reprogramming falls into two broad categories. One is the updating of factory-authorized software. This is a part of modern car maintenance. The other is performance reprogramming, which is a different matter altogether. Today we’re going to look at the potential gains this activity offers, as well as the risks and drawbacks. Despite messages like these, sealed transmission still require service. Image courtesy of Autofoundry.com. Every day it seems like automakers are coming up with new ways to “make life easier” for their customers. Problem is, the only people whose lives are improved by these actions are usually the manufacturers themselves. Auto techs like us, on the other hand, are forced to relearn how to perform basic tasks like transmission maintenance. That’s one of the consequences of today’s sealed transmissions.